Sometimes the cheapest alternative for a well-located decent accommodation can come in the form of a decent serviced apartment shared amongst 4 to 5 friends. 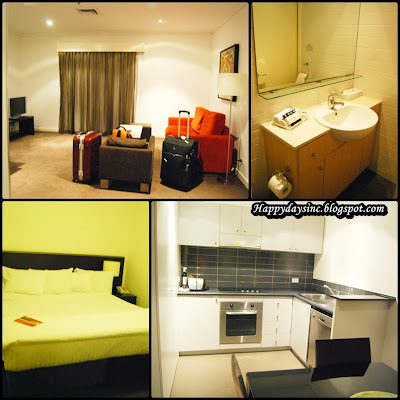 Because accommodation was expensive in Perth (at least by Malaysian standards), my group of friends opted to share an apartment amongst ourselves for the first two night as we were all taking part in Tough Mudder Perth. 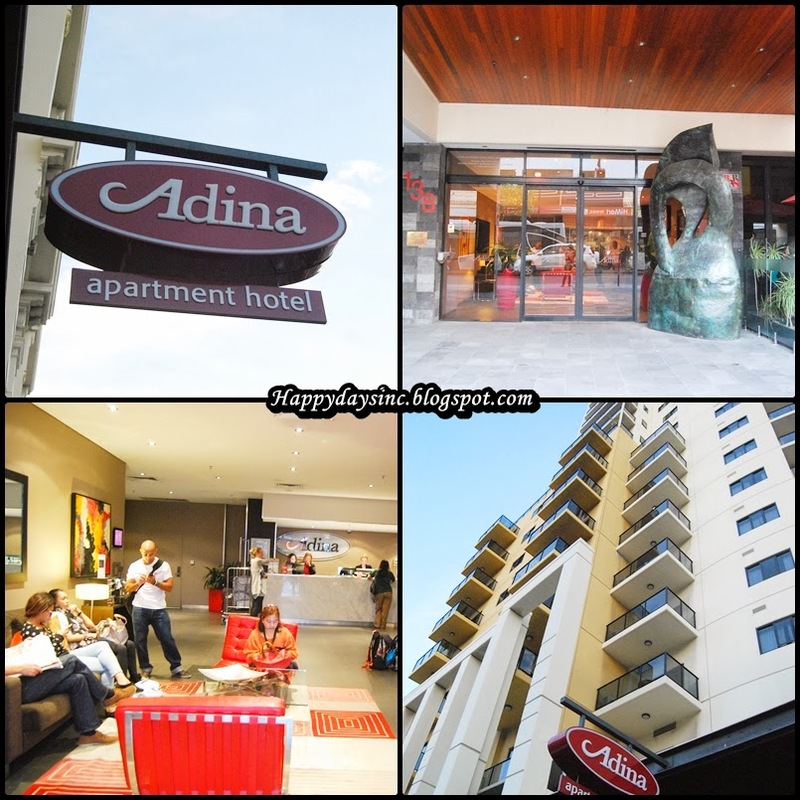 We settled for Adina Barracks Apartment in the Perth CBD and shared between 11 of us, we ended up paying about RM400 each for two nights for two premiere two-bedroom apartments. Given the convenience of keeping a huge group together in a comfortable accommodation in a prime location, I didn't mind paying that amount. The apartment hotel was along Barrack street and at first, a bit hard to spot from the car. We missed it once and had to circle the block a few times also to look for parking. It turned out that the hotel has limited parking and if it is full, the receptionists will direct you to the public parking lot across the road. That can cost a lot overnight. On the bright side, the receptionists were really helpful when we were there, permitting us to leave our luggage with them when we checked out early on our last day and needed to go out for the whole morning. Besides that, the rooms are accessible only by card keys and that same card key allows us to get back into the hotel after a certain hour in the evening for security reasons. As for the apartment, it was quite spacious with a full-equipped kitchen, dining and living space as well as two bathrooms and bedrooms. Only one of the bedroom has the bathroom attached. The apartment was perfect for us as all we needed was a place to sleep, park our bags, prepare some breakfast ourselves and wash our clothes in the washing machine and dryer. There was also a balcony for the smokers us to dry our mud-caked shoes. The only thing I didn't like about the place was the parking and the lack of wifi as that was chargeable to the room. But if you can split the cost of the parking and have your own data plan then, those two won't be much of an issue. For my last two nights, I moved to the Royal Hotel, a historical budget accommodation right across the Wellington Train station and the Horseshoe bridge. From Adina Barracks, it was only 600meters away and a 10 minutes walk. The hotel is a sister hotel to Comfort Inn Wentworth Plaza Hotel just around the corner on the street parallel to Wellington Street and that was where Royal Hotel check-ins are done on weekends and after hours. The colonial architecture of the hotel was definitely eye-catching, a nod to Perth's history and compared to other hotels in the area, it was one of the cheapest. However, if you are lucky or patient enough, you can get a 4 star hotel at a cheaper rate via the Perth groupon which my friends got...a couple of days before flying to Perth. My room was the single room and by single, it literally means for one person. The single bed may be too short for a Caucasion but for me, it was just right. Apart from the bathroom being shared with the rest of the floor, the room had everything I needed for a short stay from a television to the usual kitchen and bath amenities. It even had two day beds/seats that overlooked Jamie Oliver's restaurant right across the street. Now for the cons of the place, this hotel does not have a lift so if you have a big bulky luggage like I did, be prepared to lunge it up a flight or two of stairs depending on your room. Mine was on the highest floor so I had to drag my 19kg luggage up and down myself. Besides that, the toilet is, aforementioned, shared. Hence, you will need to exit your room (remember to bring your keycard) and find your way through the creepy creaky hallway to get to the bathroom. For the women's toilet, you will need to key in a pin code to get in which will be provided when you check in. If you really need to go, then this security measure can be an obstacle. When I was there, it seemed like I was the only female on the floor (and in the whole hotel) as I saw no other female when I was there. That was....kinda creepy. There was also construction happening place across the road and I could hear it in the middle of the night which disrupted my sleep for the first night. 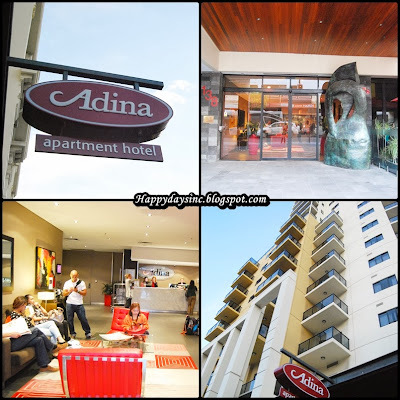 I would recommend this hotel if you are traveling solo, just looking for a place to put your stuff while you explore the CBD or travel to Fremantle. Besides that, the airport shuttle city pickup is just down the road in front of the YHA Hostel, making it easy for the solo traveler. Truly great informative blog.This is the oldest Hotels in Perth that has earned the reputation for offering the best services to its guests. It is perfect for business travelers and holidaymakers. Thank you, John for dropping by! 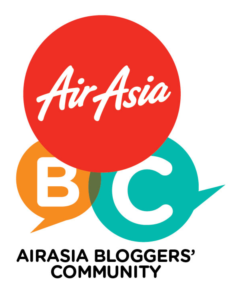 Thanks for sharing informative blog for holiday travel ,providing best facility of well furnished bedroom ,television ,wi-fi etc.